Blowout Sale! Up to 75% off on Brown at Love for Salad. 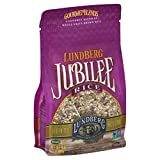 Top brands include DeLallo, Lundberg, Uncle Ben's, Mulberry Lane Farms, SU NATURAL, D'allesandro, Blue Orchid, Natural Earth, Doguets, RiceSelect, truRoots, Mahatma, & KAOWNUMSUB. Hurry! Limited time offers. Offers valid only while supplies last. 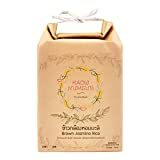 Black Japonica Rice 20 pounds (twenty lbs) (also called purple) All Natural, Non-GMO, BULK. 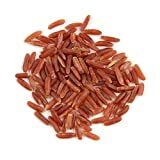 Natural Earth Sushi Brown Rice - Whole Wheat, Vegan and Gluten Free - Certified Kosher, 36 Oz. 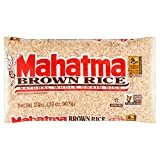 Doguets Organic Long Grain Brown Rice, 25 Pound -- 1 each. 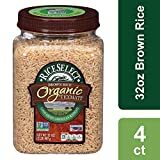 Rice Select Jasmati Brown Rice, 30 Ounce - 4 per case. 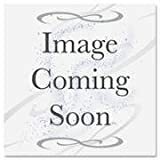 Vital Wheat Gluten, 1 lb (one pound), All Natural, Non-GMO, BULK.